The second of Bonhams’ early December sales was their London Olympia sale. The top sale was this 1921 Rolls-Royce 40/50HP Silver Ghost London-to-Edinburgh Tourer that sold for $352,292. The Talbot Tourer we featured brought an also-impressive $242,200, as did the other Rolls-Royce at $176,146. The Healey Abbott failed to sell. Complete results can be found here. Onward to RM Sotheby’s sale held at the Petersen Automotive Museum in Los Angeles. 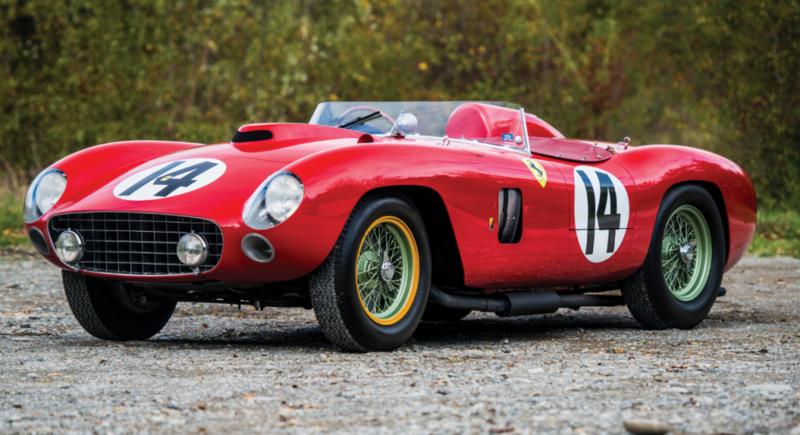 The top sale was the huge price paid for this 1956 Ferrari 290 MM by Scaglietti: $22,005,000. The Mochet microcar we featured sold for $25,200, and a previously-featured Ferrari wagon sold for $313,000. Final results can be found here. Aguttes held a sale in December that had a few cars sprinkled in, the most expensive of which ended up being this 1994 Ferrari 348 GTS for $74,305. Full results can be found here. And now we’re into 2019, beginning with Mecum’s epic Kissimmee sale that lasted for almost two weeks. Somehow, a LaFerrari Aperta we featured failed to meet its astronomical, irrational reserve at a bid of over $6 million. 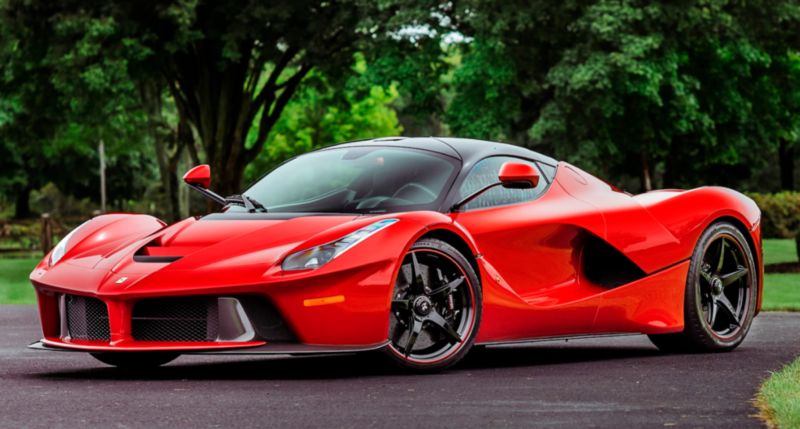 However, its sister car from the same collection, a 2014 Ferrari LaFerrari was the overall top seller at this sale for $3,300,000. Which was below the pre-sale estimate. Go figure. Here’s a rundown of other feature cars from this sale that failed to find new homes: Pontiac El Catalina Prototype, Tramontana GT, Corvette ZR2, McLaren 675LT Spider, and the Brumos Edition Porsche (yet again). Now onto some better news. The previously-featured Shelby GT500 Super Snake sold here – for almost double what it brought in 2013: $2,200,000. Other big dollar cars included Duesenberg J-255 for $935,000 and a Ford Torino King Cobra for $192,500. The other two feature cars we have – both factory prototypes – both sold. The Ford Forty-Nine Convertible went for $51,700, and the Pontiac Trans Am Kammback sold for $40,700. Click here for complete results. And finally, we move to another early January sale: Silverstone Auctions’ Autosport International sale. The Griffith we featured sold, but is still listed as “result to follow.” Once it’s posted we’ll update our Griffith page, so check back if you just have to know. 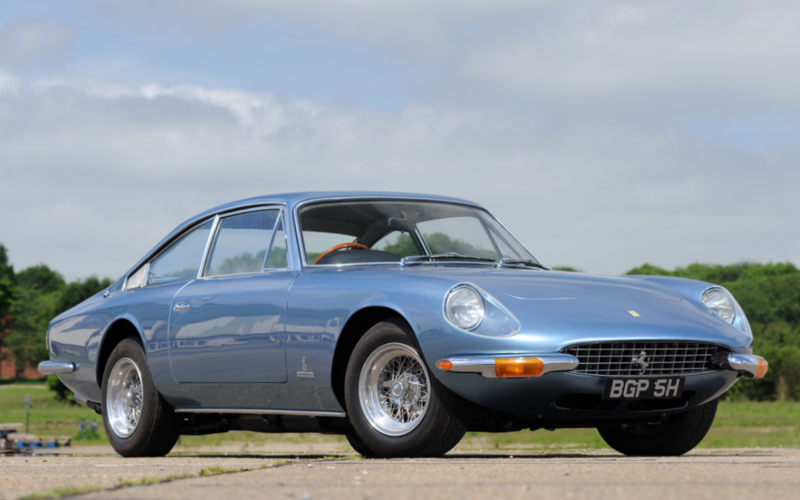 The top seller was yet another Ferrari, this time a 1970 Ferrari 365 GT 2+2 for $257,360. Final results can be found here. This entry was posted in Auction Results and tagged aguttes, auctions, Bonhams, ferrari, mecum, results, rm sothebys, rolls-royce, silverstone auctions by classiccarweekly. Bookmark the permalink.